We are almost in the happiest and brightest time of the year: Christmas. Although very often it becomes in the craziest and the most consumerist, that is why we propose these slow and conscious ideas for your Christmas presents from our catalogue. Become a slow Santa! ? 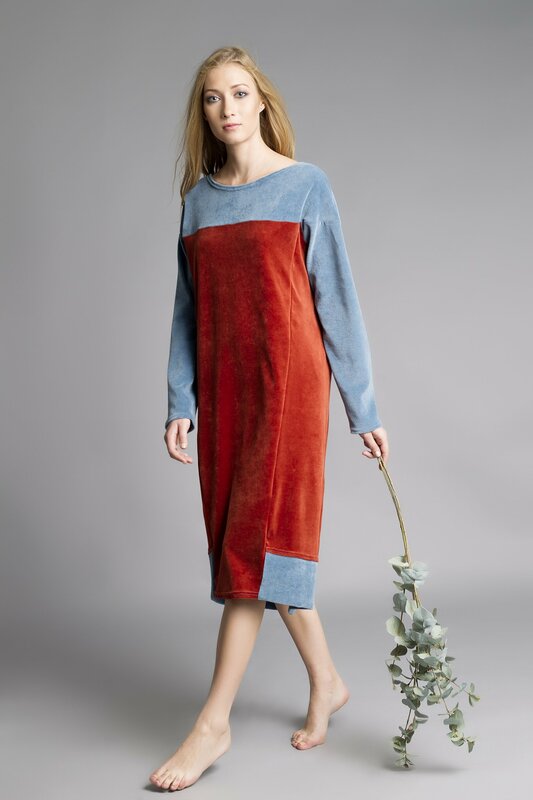 Available in light blue, turquoise and terracotta, this organic velour fabric dress (100% organic cotton. GOTS certified) is the perfect Christmas gift for a sister, a daughter or a friend. Ideal for someone very tender and original at the same time. Very colorful and soft to the touch, velvet is always a must in every wardrobe. This unique dress designed to do not produce any waste after the cut is sustainable with the environment and very elegant. Great for parties, weddings and special occasions, it is the perfect Christmas present for a sensitive and chic woman who cares about the planet and is in love with beauty. Maroon poncho in organic sweat cotton. 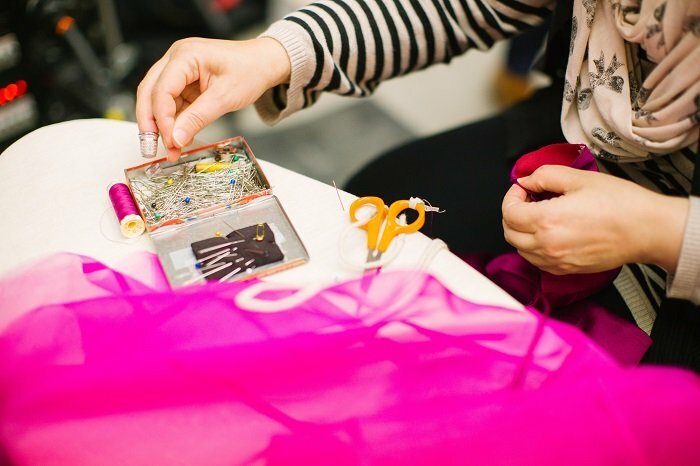 All IREMA’s ponchos are amazing, but those in organic sweat cotton (100 % organic cotton. GOTS certified) are the absolute present. 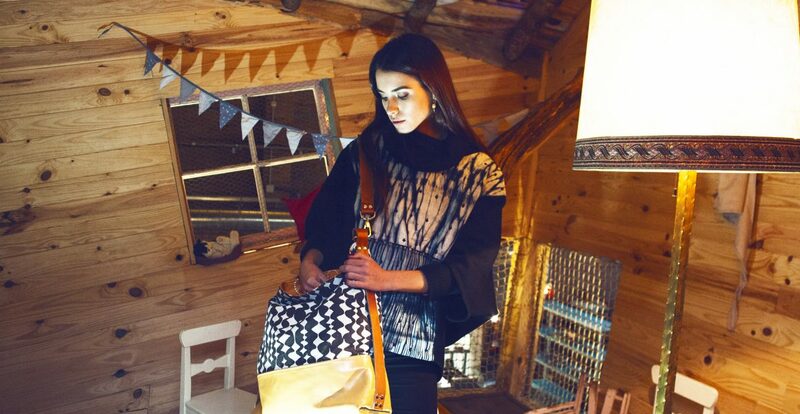 The lucky person you offer this poncho as a gift will be thankful for a longtime! Available in maroon, grey, blue, turquoise and red, this poncho will complete every day-to-day outfit. Alpaca wool cap in light blue. If you have to play Secret Santa this year, then, don’t worry, we have the perfect slow present: our warm, eco-friendly, soft and durable alpaca wool caps (100 % baby alpaca wool) in light blue, old pink, orange, off-white, mottled gray and brown. You will succeed! The perfect slow present for a child is this blue handbag with birds, inspired in leather briefcases that were used to go to school in the 60s and 70s. 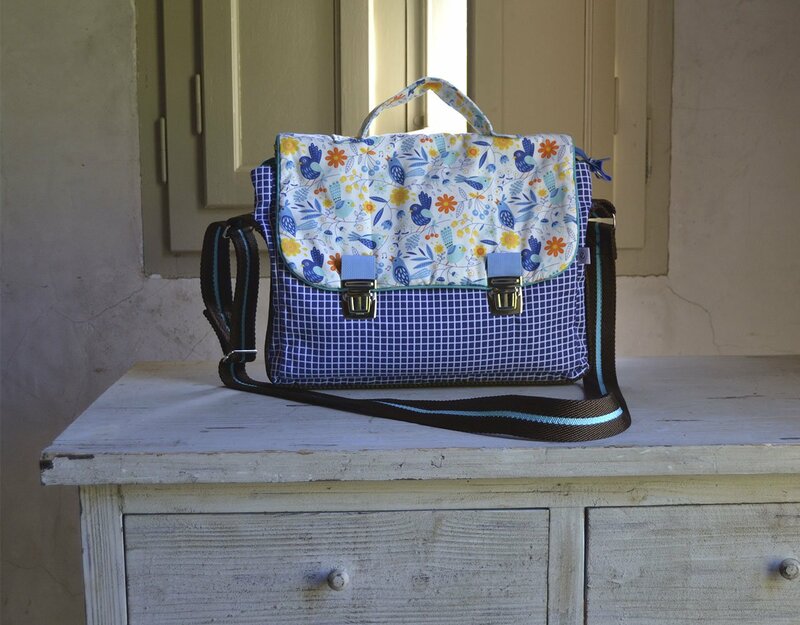 It is handmade of upcycled tablecloth and patchwork fabric. You can also find similar models on our e-shop. 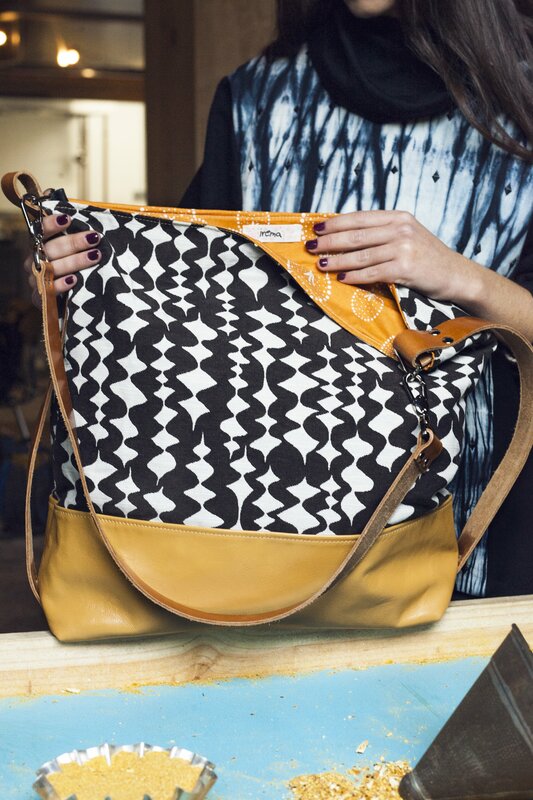 Mustard tote bag in leather. With a Nordic and minimalist design, this large leather and fabric bag is the perfect present for your mother, daughter, sister or, why not, yourself. Chic, functional, big and very strong! In addition, it is upcycled, so you will be green too! This is our little selection of Christmas presents for you, but, of course, you can find much more on our e-shop: www.irema-slowfashion.com. With a “slow” gift you will contribute to a better world.